Richard has been servicing IT clients for over 20 years. During this time he has cultivated a pleasant, timely, efficient and precise service culture in such roles as Help Desk Manager, Operations Director, Program Deployment Manager, Systems Developer and Infrastructure Analyst, in businesses that include IBS, NetRecon, IOCom and Mailguard. Along the way he has picked up many qualifications and certifications, including CCNA, CCDA, CNA, CNE, DipComSci. Richard has spent many years advising on, implementing, configuring, maintaining and repairing networks and other IT infrastructure. This has lead him to become and expert in TCP/IP and internet security, where he has implemented many different types of solutions for his clients including IT Cloud Solutions, Mail Server configuration and storage facilities (in house and offsite). This leaves him well placed to consult on best practice in these areas. And recently he has branched out into Media Center setup and configuration as well. Based in Cheltenham, Richard also covers Bayside, Sonington and Port Philip. Troubleshooting Analysis, Security Engineering, IT Cloud Solutions, Hardware Maintenance, Virus Protection/Removal, Media Centre Implementation, Server Decommissioning/Migration , TCP/IP, and WiFi. 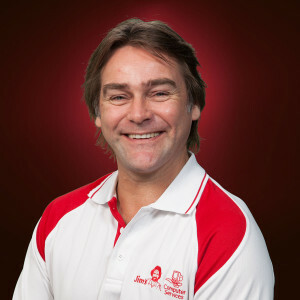 Through his partnership with other Franchisees and suppliers he is also able to help provide most other areas of IT including IT Governance and Service Management, IT Programme and Project Management, Data Management solutions, End User Computing Services, Website Services, and Sales as well as many other technology solutions (i.e. POS solutions).